Until recently, most research on cognitive phenomena, such as perception and decision-making was done mainly in human and non-human primates. Together with a handful of colleagues, Mainen, head of the System Neuroscience Lab, has helped to show that rodents in fact share many of primates’ cognitive abilities. Indeed, in 2008, his lab was the first to discover neural activity that reflected decision confidence in any species, a feat that was done in rats. Though research projects with human subjects have more recently started in the lab, this approach still dominates the Systems Neuroscience Lab today, where rodents are the stars, allowing the use of advanced genetic and molecular tools not available in humans and non-human primates. Using these tools, the team is able to combine multiple techniques, which allow them to record and manipulate the neural circuits that control confidence and decision-making in relevant brain regions, such as the cortex and the midbrain. The team places a major focus on the midbrain serotonin system, which they believe to play a key role, along with other neuromodulators, in regulating beliefs. Theory and modeling are also a vital component of the work done in the lab because of the inherent complexity involved. We are interested in understanding the principles underlying the complex adaptive behavior of organisms. We are interested in understanding the principles underlying the complex adaptive behavior of organisms. Starting with quantitative observations of animal behavior, we aim to integrate quantitative cellular and systems level experimental analysis of underlying neural mechanisms with theoretical, ecological and evolutionary contexts. Rats and mice provide flexible animal models that allow us to monitor and manipulate neural circuits using electrophysiological, optical and molecular techniques. We have made progress using highly-controlled studies of a simple learned odor-cued decision task and are extending our focus toward more complex behaviors. Projects in the lab are wide-ranging and continually evolving. Current topics include (i) the function of the serotonin system, (ii) sensory decision-making, (iii) the role of uncertainty in brain function and behavior. Serotonin (5-HT) is a central neuromodulator implicated in the regulation of many processes and one of the most important targets for psychoactive drugs. It profoundly impacts decision-making and its dysregulation can contribute to altered perception as well as pathological conditions such as depression, anxiety or obsessive-compulsive disorders. Yet 5-HT’s function is not well understood, hence impeding progress towards better treatments. The broad aim of this work is to understand the involvement of 5-HT in decision-making under conditions of uncertainty. Uncertainty arises whenever partial, ambiguous, or contradictory information is present, a common occurrence in real-world situations. We propose that 5-HT neurons respond to increases in uncertainty caused by unexpected events. . Such effects are hypothesized to modulate behavior at various time-scales. At an immediate time-scale, 5-HT release may promote persistence into ongoing behaviors when outcomes are uncertain. At longer time scales, it may increase behavioral flexibility in response to changes in the environment. Mechanistically, the control exerted by 5HT over these process may be mediated by its ability to modulate the neural representation of prior expectations at different levels of the brain hierarchy. Additionally, to complement our study of 5-HT and uncertainty at the circuit and brain-wide level, we also investigate the inputs and outputs of 5-HT neurons that allow them to exert their behavioral effects. Understanding how the brain works is one of science’s greatest challenges. The key obstacle when attacking this challenge is that we do not understand how neural systems work together to support adaptive behavior. Adaptive behavior requires processing sensory information with focused attention, reaching decisions, acting, and learning from the results of those actions. These require the brain to combine a vast array of information from prior experience, current sensory stimuli, and internal and environmental contexts. These computations involve dynamic interactions between millions of neurons within local circuits and across many brain regions. Understanding these processes is a problem with a scale and complexity that far exceed what can be tackled by any single laboratory and that demands computational theory to be interwoven with experimental design and analysis in a manner not yet achieved. To overcome these challenges, a virtual laboratory has been created, unifying a group of 21 highly experienced neuroscience groups distributed across the world. Funding: Wellcome Trust, Simons Foundation and INCF. We are constantly inundated with a barrage of sensory information. In an instant, however, a tiny critical fraction of this sensory world is relevant for taking action. Our brains must select out the critical input and use it to guide behavioural response. We often call this selection process attention. Critically, from a human health perspective, deficits in attention is a common characteristic of both neurological (Alzheimer’s & Parkinson’s disease) and neuropsychiatric disorders (ADHD & schizophrenia). It is imperative that we elucidate the fundamental neuroscience underlying the critical function. We aim to understand the neural basis for the modulation of sensory processing by visual spatial attention. 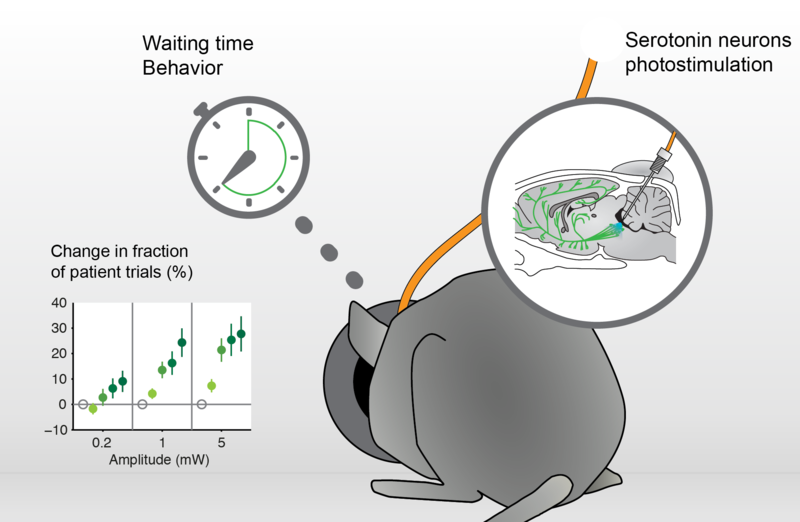 By developing the first spatial attention task in the genetically mouse model will will dissect the underlying cortical & subcortical circuitry, and reveal new fundamental principles controlling rapid changes sensory information processing in the brain. Olfaction is dynamic and highly associative, and environmental contexts heavily influence olfactory experiences. In addition to odor discrimination, knowing what you have experienced before (odor recognition) is also critical for animals. Despite this, few studies have examined the neural basis for associative features of olfaction and its neuronal bases are poorly understood. We aim to bridge the gap between theory and neurophysiology to provide a mechanism for the encoding of context in olfaction. We use technologies developed in psychophysics, neurophysiology, molecular biology and computational neuroscience to examine interactions between olfactory cortex and the navigational memory system (hippocampus) in a novel spatial context-dependent odor discrimination task. We hypothesize that odor contexts are encoded in olfactory cortex and driven by feedback hippocampal inputs. If successful, we will identify fundamental principles governing holistic sensory percepts in the brain. Serotonin (5-HT) is a neuromodulator implicated in the regulation of cognitive and behavioural processes, including cognitive flexibility. Conversely, manipulation of 5-HT circuits is a major tool in treatment of depression. Psilocybin, a 5-HT2A agonist, has recently been proposed to have fast and long-lasting antidepressant properties. It is thought to modify cortical excitability, which is altered in depression and modified by antidepressant treatment, namely repetitive transcranial magnetic stimulation. With this project we aim to (i) compare cognitive flexibility and cortical excitability between healthy subjects and depressed patients, (ii) assess antidepressant effects of psilocybin in depressed patients, as well as its impact on cognitive flexibility and cortical excitability and (iii) measure if potential impact of psilocybin on cognitive flexibility and cortical excitability is predictive of its antidepressant effects.